Hello, sunshine! When the sun’s out in London, the city’s alfresco restaurants and bars come alive. There’s nothing more enjoyable than lounging outside with your sunglasses on and drink in hand. 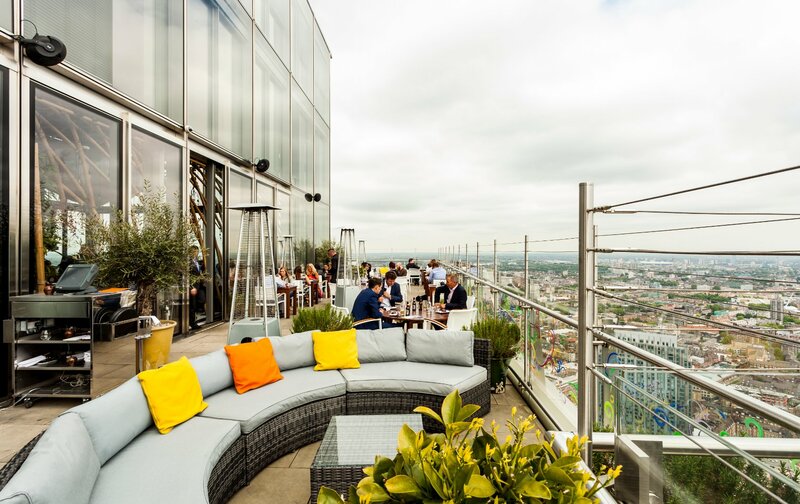 It’s time to book a tasty terrace lunch for two, make plans with friends for fancy rooftop cocktails or choose a pretty picnic spot for the family. Read on for our picks for the best places to eat outside in London. Coq d’Argent has the kind of rooftop terrace that stops first-timers in their tracks. 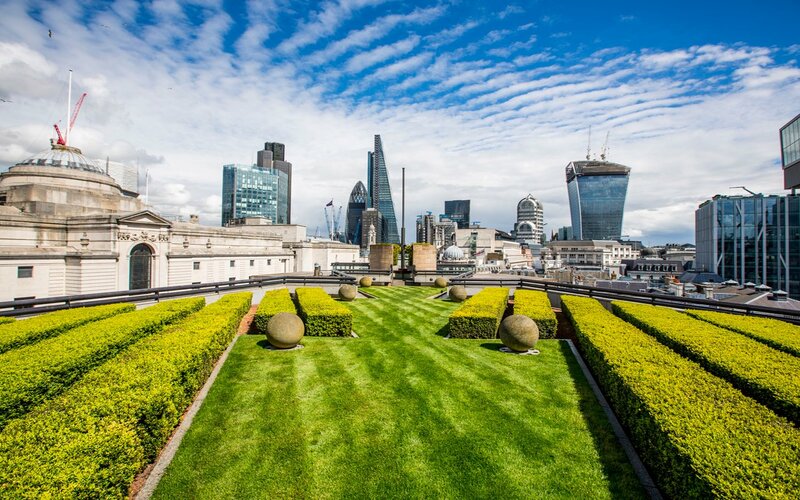 There’s a dramatic walkway through manicured bright-green lawns, which leads to a show-stopping London panoramic. The location is as handsome as you’ll get, and the city is clearly smitten with this summer spot, judging by the crowds. What to sip though? Treat yourself to a glass of bubbles or peruse the extensive cocktail list. 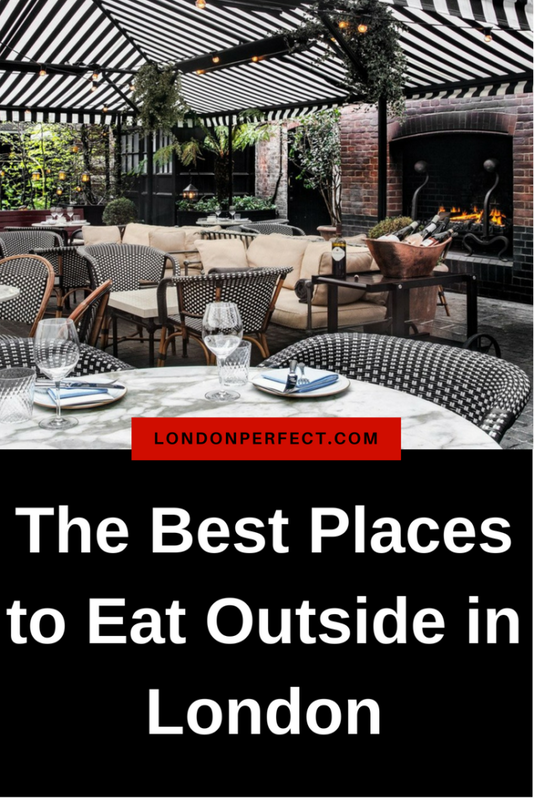 It’s certainly one of the best places to eat outside in London. Earlier in May, The Ivy Collection launched its latest establishment in King’s Cross, a collaboration with the very popular (and delicious) tonic Fever-Tree. 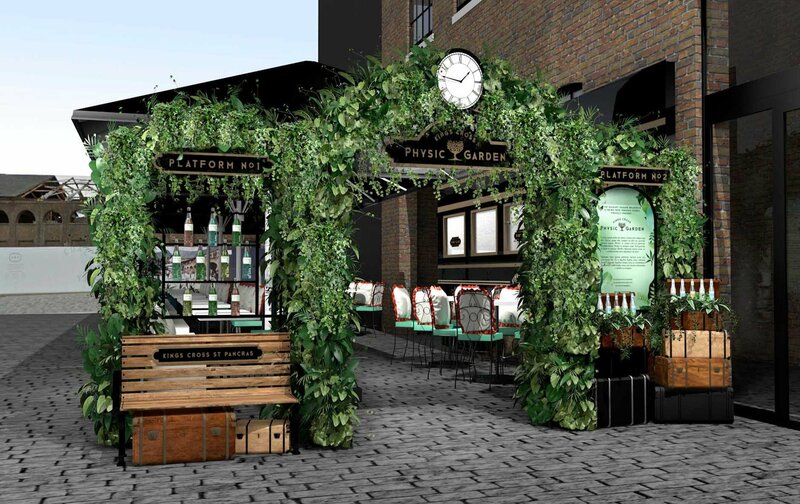 Granary Square Brasserie and Physic Garden Terrace are new additions to the trending area and Physic’s stylish garden terrace is one of the best places to eat outside in London. The Ivy brand is well-known for its classic, quality restaurants frequented by media movers and shakers and Granary Square’s menu includes Ivy classics such as shepherd’s pie and smoked haddock fishcakes, but don’t miss weekend brunch with their standout eggs benedict. 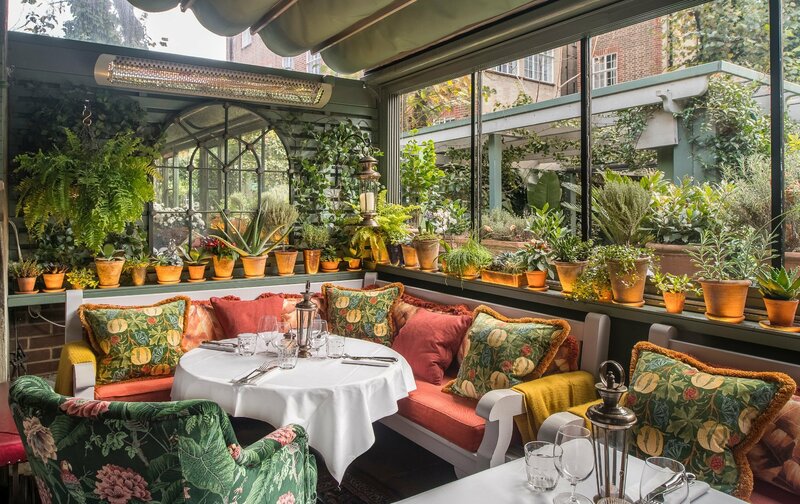 Another restaurant from the group that should be on the list this summer is The Ivy Chelsea Gardens, with its beautifully designed, rose-filled terrace. Granary has the largest terrace in north London and is smart and style-led. 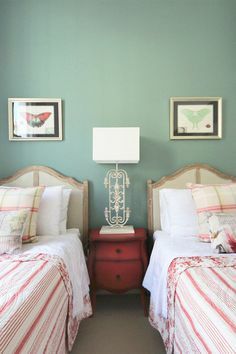 Sink into cozy vintage leather chairs around low brass tables. It’s also perfectly situated for commuters. While Granary dishes up high-end fare, mixology experts at Physic Garden Terrace create delicious gin cocktails, blending herbs and plants for curative benefits. 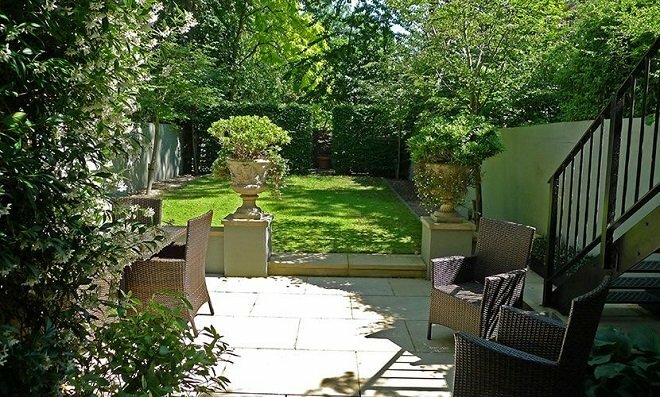 Our Hamilton apartment features a private garden in Chelsea. 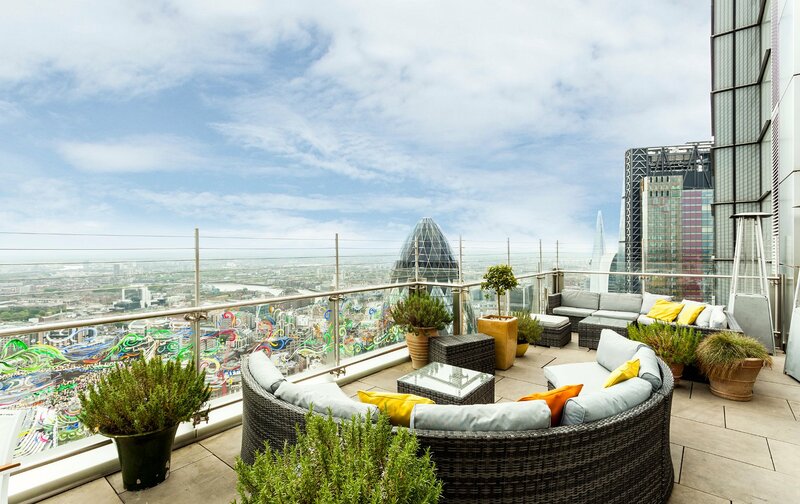 London Perfect has an array of stunning homes in the charming central locations, many with their own spacious terraces. 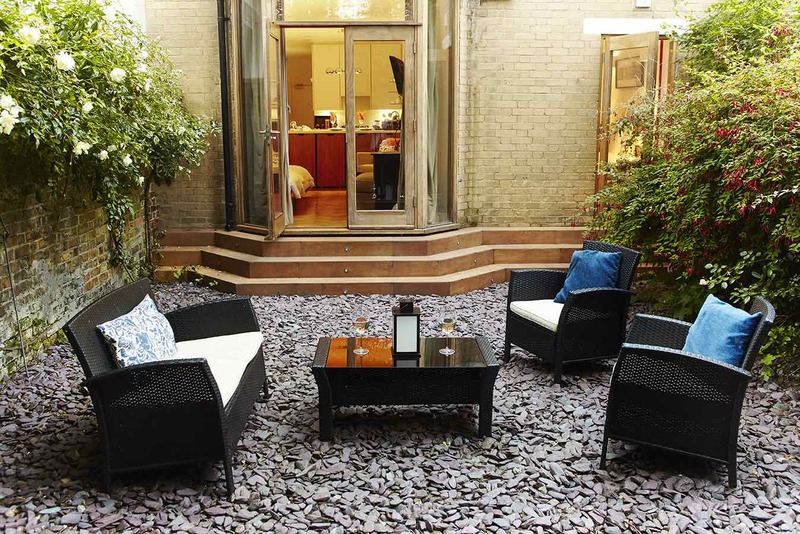 Hamilton, a sassy stay with a dashing private garden, is located at the heart of Chelsea. It’s close enough to the King’s Road for shopping and moments from elegant terraces and courtyards such as The Ivy Chelsea Gardens. 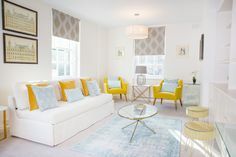 Check out our entire selection of London rentals to find the perfect one for you and bag a 50% discount off May stays in our flash sale! Peace…in a zoo? 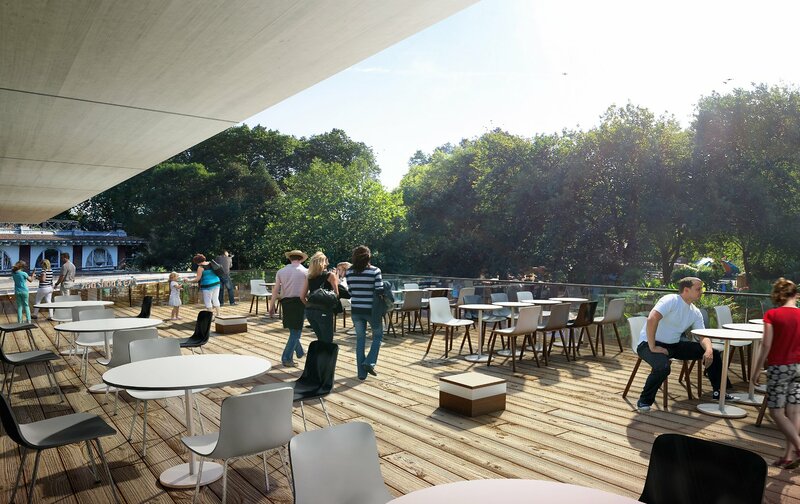 Grabbing a bite at London Zoo’s Terrace restaurant is actually a lovely way to carve out some quiet time with the kids. Mark out a full day for a trip to London Zoo and Terrace is the perfect pit stop for the little ones during all the excitement. When the sun has got his hat on, the modern outdoor restaurant is perfect. 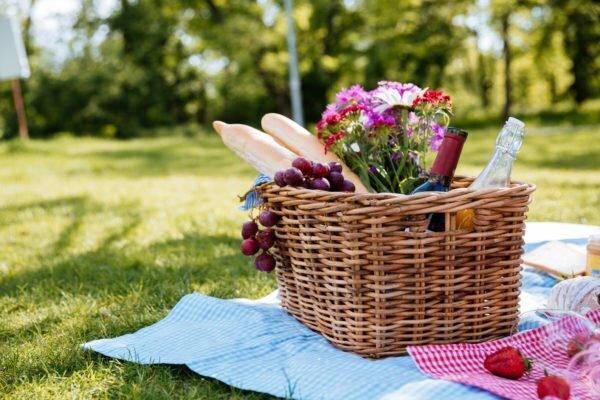 It has alfresco dining set on two levels and sprawling lawns with grassy picnic areas. It’s a dream for children, as they can get back to all the action in a jiffy. 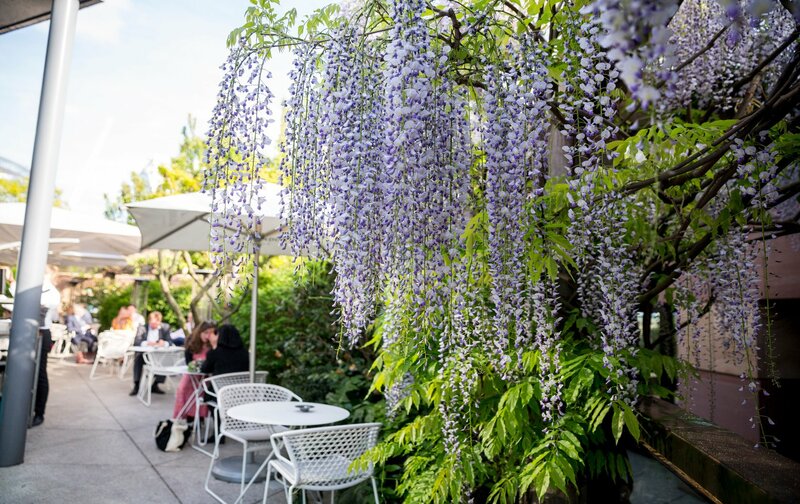 It’s one of the best places to eat outside in London for families. Offering a unique blend of Japanese, Brazilian and Peruvian cuisine, the incredible East Terrace at Sushi Samba is on the 39th floor and has views to complement its menu. Simply put, it’s one of the best places to eat outside in London. But what about the sushi? Well, for a sushi fix, expect plump tuna belly plated up with a dash of panache and zesty ceviche (the samba). Make a reservation for the main dining room in advance, as outside seats can only be grabbed if you’ve booked. Or, opt for the Orange Tree Terrace, if you prefer something more down to earth. 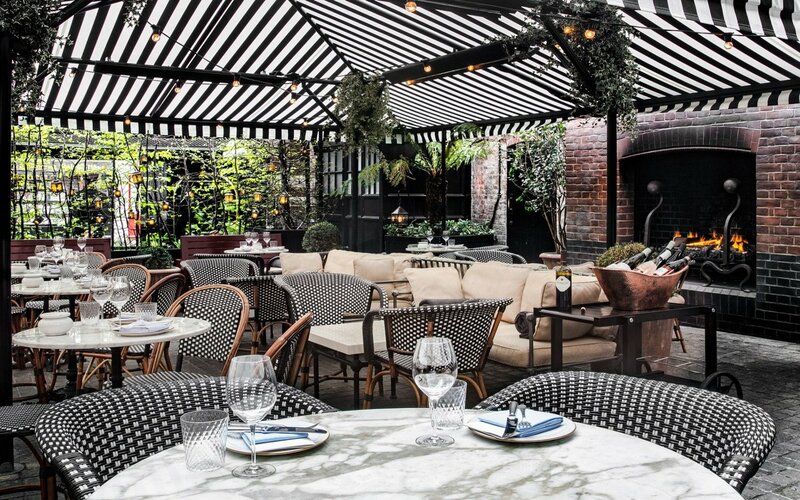 It’s a perennial London favorite – The Chiltern Firehouse – and it has the most striking alfresco eating area. Try your luck at getting a table here for lunch when summer hits, though it’s a coveted address. The American-accented menu has a focus on fine ingredients. Choose from the fresh seafood or plump for the famed steak tartare, served up in a chic setting. For your next stay in London, our knowledgeable reservations team is on hand to help you select one of our stunning family vacation rentals. We can also help with shopping, itineraries, tours, dining reservations and customized private experiences. Contact us today for more information. Posted on Monday, May 14th, 2018 at 5:11 am in Food & Drink. You can follow any responses to this entry through the RSS 2.0 feed. You can skip to the end and leave a response. Pinging is currently not allowed.